After visiting with the family on Easter Sunday, we decided to head on back to Little Rock. Since the light was favorable to pictures, I thought we could manage to sneak in a quick visit to a waterfall along the way home. I've studied the waterfall guidebook, so I knew there was actually a waterfall that was fairly close by. In fact it wouldn't be too far from the freeway and would be an easy hike. So I headed off, hoping the falls would be running well. 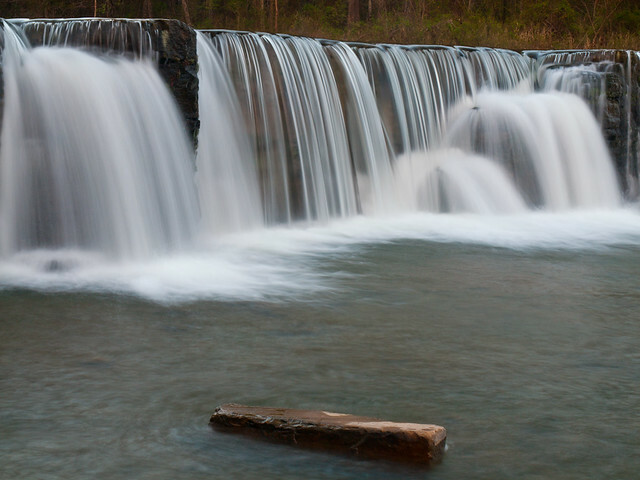 The waterfall is located in the Ozark National Forest, down a long series of bumpy and winding dirt roads. I headed down one road, and then another. Eventually I soon realized that I missed a turn somewhere, and had to turn around. I had a quarter of a tank of gas when I left civilization, but the fuel gauge was quickly dropping with an alarming speed. I got back to where I originally strayed from the main road, but the gas light had come on. Since I had the wife and a dog in the car, I decided it would probably be best to head back to town instead of risking running out of gas in the woods. Oh well, the waterfall will be there next time. 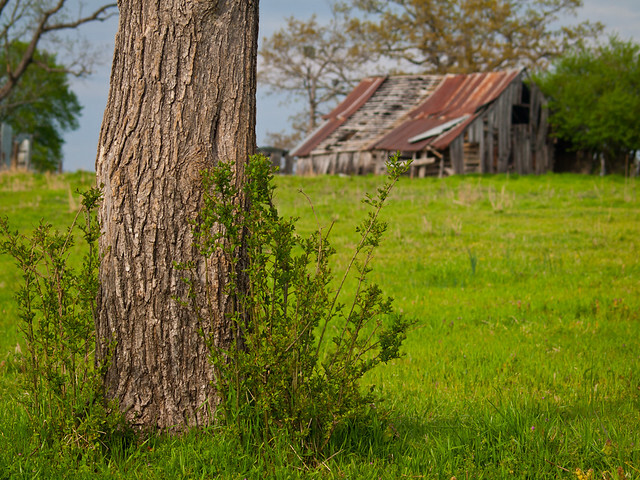 But even if the waterfall eluded me, I did find a few things to take pictures of. 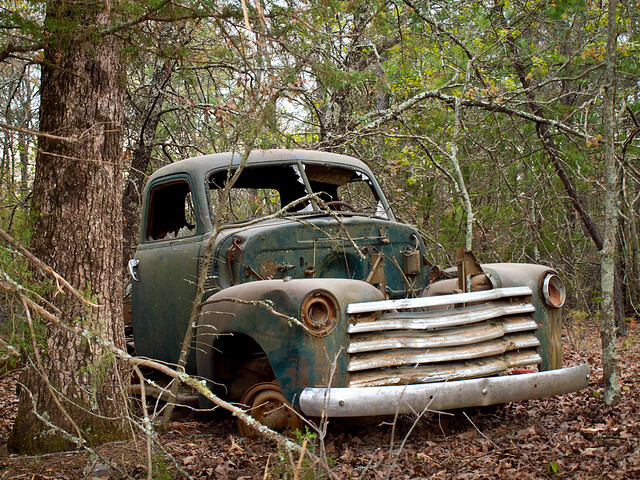 We passed this old truck, rusting away in the woods. 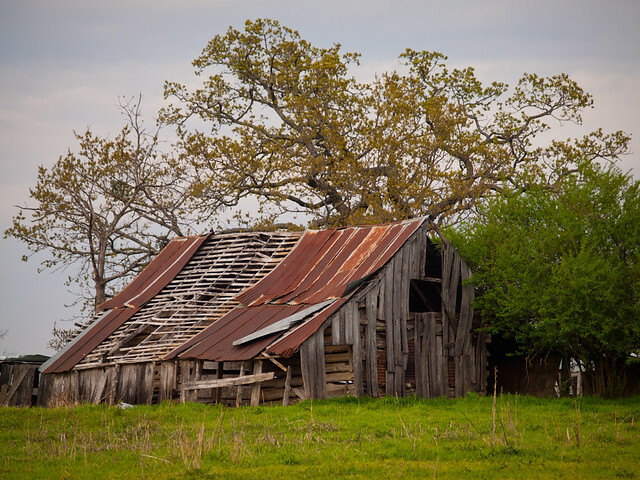 And also a barn too! I had to make a quick day trip to Fort Smith last week, and before heading home tried to find time to squeeze in a visit to a waterfall. Luckily there is a waterfall nearby that is a short drive away that requires absolutely no hike at all. In fact you can drive right up to it. 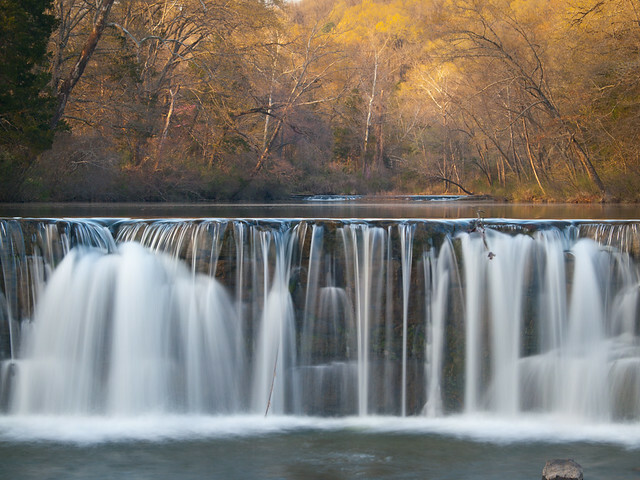 It is the Natural Dam, in the Ozark National Forest. The Natural Dam looks man-made, but like the name says it's all natural. 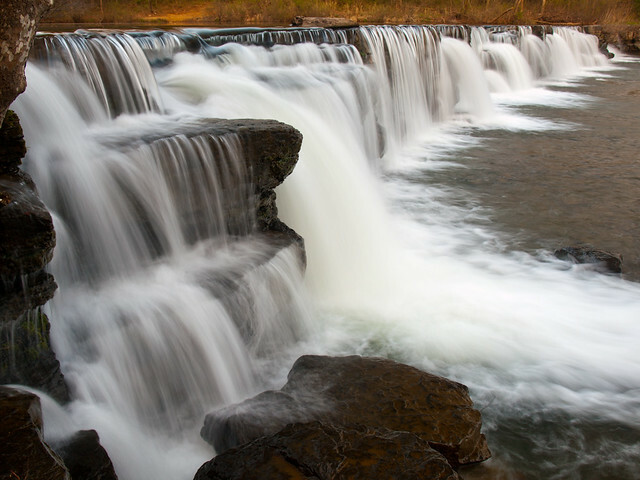 A shelf of rock extends over 200 feet across Mountain Fork Creek, creating a low but long waterfall that stretches across the creek. And a wider view of the falls, from the top of a nearby bluff. 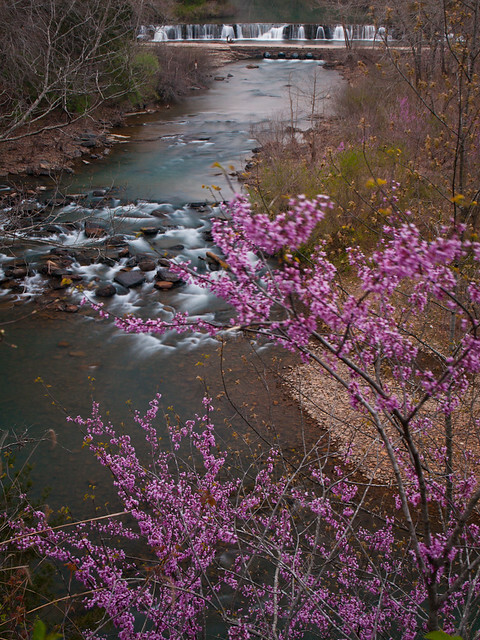 It was still early Spring when this was taken, and the redbuds were in full bloom.